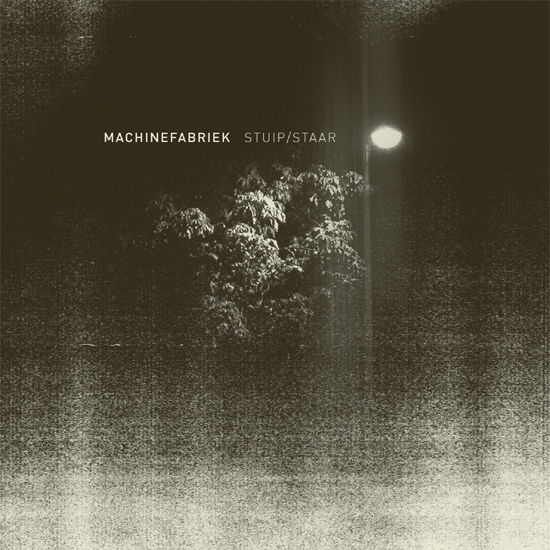 Machinefabriek’s Stuip and Staar are two minimal drone performances captured at the Cross Street Chapel, Manchester (UK) and the Toneelschuurm, Haarlem (NL). Running just under an hour his processed guitar textures rise and fall, stretching their substance through etheral minimalism, slowly evolving epic heights, and moments of sublime symphony. 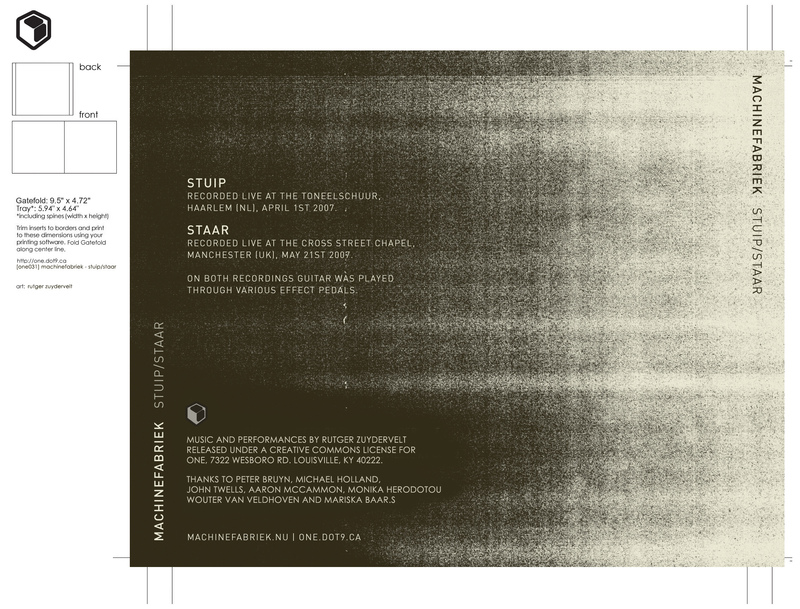 Rutger Zuyderveit’s work has gained much attention over the past few years through performance, his self-titled imprint, and releases at labels such as Type and Lampse. We’re pleased to have him join our ranks and carry forward the ambient series of One releases previously visited by past alumns such as Loscil, Makunouchi Bento, Kaneel, and Kwook.